Churchill’s secret army granted parade with Cenotaph march past. Royal British Legion grants permission for Auxiliary Units and Special Duties Branch veterans to march past in November 2013 after British Resistance Archive campaign. Members of one of the most secret organisations of the Second World War has today been granted permission to take part in the annual Remembrance Day Cenotaph march past by the Royal British Legion. This follows a campaign undertaken by the Coleshill Auxiliary Research Team (CART), the researchers behind the British Resistance Archive. Stroma Visit - Saturday 10th August 2013 - Last year we organised a visit to Stroma, prompted by interest from the Islands Book Trust, and readers of their book Stroma, published in 2010. Taking the abandoned island as its subject, the book features photos by Roddie Ritchie, with poetry by Caithness writer George Gunn. The visit – which included bonus sightings of Killer Whale (Orcinus orca) - proved so popular that we plan to run another this summer. The Wild North Wild Flower Europe Festival takes place this year in the Highlands in June and July 2013. Events in Caithness range from a photography competition and exhibition, Plantlife International’s ‘Patchwork Meadow’ exhibition, to talks, walks and workshops. During May and June, Sutherland based artist Sue Jane Taylor will be joined by Caithness STEM Ambassadors to work with young people from Caithness and North Sutherland schools, exploring how current developments in renewable technology are making an impact locally as well as nationally and internationally. Local companies and harbours – as well as personnel from key wind/wave/tidal energy projects - are being generous with their time, allowing access to a range of engineering sites and operations, and engaging in workshops with school pupils. Academy now site second in the league and play Cove Rangers the current league leaders next Saturday at Harmsworth Park. This load of salt for the main roads was being delivered on Friday 29th March 2013 at by the "Scot Explorer" to Wick Harbour in Caithness, Scotland for BEAR who will use it for the roads in the north in frosty or icy conditions. At first sight you might think it is sand but it is definitely salt that came from a huge salt mine in Northern Ireland. Local roots of lead installations engineer for first tidal-stream turbies to enter Inner Sound. A Caithness-descended sub-sea engineer, who is proud of his Canisbay parish roots, is to take charge of the installation of the very first electricity-generating tidal turbine in the Pentland Firth's Inner Sound next year (2014). Mr Rupert Raymond's great-grandfather came from John O'Groats and moved away in late Victorian times to train as an engineer in Glasgow. He was responsible for designing just over a century ago one of the area's most iconic buildings, the water-powered John O'Groats corn-mill, now regarded as a key part of the county's 'industrial heritage'. Action is being taken to deal with the difficulties owner-occupier crofters are facing when decrofting their croft land. The Environment Minister Paul Wheelhouse announced that the Scottish Government will bring forward a Bill as soon as possible after the Easter recess to address this issue which will require amending crofting legislation. SCD Major Investigation Team North have been making enquiries into the death of a man whose body was found in the river, Wick on Saturday 23rd March 2013. Whilst, continuing some enquiries into establishing his last movements, a post mortem and other enquiries have been carried out and the death is not believed to be suspicious. Next of kin have been informed. Service Points and administrative offices will close at 5.00 p.m. on Thursday 28 March 2013 and re-open at 9.00 a.m. on Tuesday 02 April 2013 for the Easter holiday. Some handy emergency numbers. Easter Egg-Case Hunt Thursday 4th April 2013. Sandside Beach in Reay. 10am – Noon. Snippets from the Caithnes Courier. For other stories check out Doanalsin's Diary. Brandon at his brilliant best! Among many great demonstrations during the Caithness Science week this year was the one about the digestive system. A presentation moved ahead at a great pace and with plenty of humour and backchat from the presenter made it very amusing for the young audience. The unforgetable site of poo being made in front of you from various foods and the huge unravelling of a pretend intestine wil stay with many of us for along time. Entertaining certainly but very educational. This was just one of many sideshows at the Science Fair on Saturday and many were packed out early in the day. Wick and Thurso Recycling Centres are open as normal over the Easter weekend, so whether you’re planning gardening, DIY or entertaining, you can separate your waste and take it to your nearest Recycling Centre for recycling. There are containers for various materials at both sites, plus staff are always on hand to point you in the right direction. On 1st April the opening hours change for the summer, so both sites will be open 11am until 5pm Sunday to Thursday and 9am until 6pm Friday and Saturday (closed daily 2pm-2.30pm for lunch). Wednesday 1st May, 10.00am-12.15pm, Pulteney Centre. You willl have the opportunity to hear about the latest developments in charity regulation, and in areas such as equality and fundraising. OSCR staff and Board Members will be on hand to answer questions and discuss the issues that are important to your charity. Police are continuing their enquiries into the death of William Mcgough following the discovery of his body in the Wick river on the morning of Saturday the 23rd March 2013. Police are looking to speak to any one walking in or frequenting the area of Victoria Place, Wick between 6pm and 9pm on Friday the 22nd of march 2013. Police are particularly keen to speak to two men who were in this area around 8.10pm that night and who may have stopped for a short time beside the salvation army hall. anyone with information as to who may have been or in this street between the times given are asked to contact Wick police on 101. Caithness & North Sutherland Community Groups Awarded over £142,000. The Caithness & North Sutherland Fund recently awarded its latest round of community grants totalling over £142,000. The grants were awarded to eleven community and voluntary groups in the Dounreay travel to work area for projects that help to make Caithness & North Sutherland an attractive place to live, work and invest in. This latest round was the Fund’s first quarter assessment for 2013 which saw the Nuclear Decommissioning Authority funded grant body experiencing its busiest assessment round to date. The Fund currently holds quarterly assessment rounds and since its launch in October 2011, it has continued to see a steady flow of applications for funding support to a wide range of community projects. Specialist Crime Division, Major Inquiry Team North, are continuing the investigation into the death of a man in Wick. The body of a 30 year old man was found by a member of the public at about 6.30 am on Saturday the 23rd of March. The body was found in the river adjacent to an address in Victoria Lane, Wick. The death is currently being treated as unexplained and Police are awaiting the results of a post mortem. Inquiries are ongoing at this time. The man, whose name is William McGough, 30 years of age, from Wick, is described as over six foot and of slim build. He was wearing a light coloured jacket, dark tracksuit bottoms and a dark baseball cap. Police are trying to establish Mr McGoughs final movements and are keen to hear from anyone who was in the Victoria Lane area of Wick between 6pm on Friday 22nd March and 6.30 am on Saturday 23rd March who may have seen anything of note. Anyone with information is urged to contact Police in Wick on 101 or Crimestoppers on 0800 555 111. A Specialist Crime Division, Major Enquiry Team North, are currently investigating the death and searched the Wick river today for anything that might help in their enquiries. The body was discovered near the Salvation Army hall in Victoria Place on Saturday. Details have still not been released although their is much speculation on Facebook pages according to press sources. Any person with any information regarding this are asked to contact Northern Constabulary by calling 101. Information can also be left using Crimestoppers on 0800 555 111. George Friederic Handel's Messiah is more often than not referred to as The Messiah. The work was intended as a thought provoking work for Easter and Lent, but became more of a Christmas time tradition. 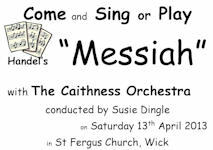 The Caithness Orchestra is inviting singers and musicians to be involved in this piece on 13th April. After a day of practice the public will be alowed in to hear the results. Now is your chance to be involved in one of the great musical classics. A new copy of the vocal score (we recommend the Novello edition - but any version will be fine!) costs about £8 plus postage on the Internet but copies can be found on EBay for much less. No-one should be discouraged from coming along to sing for lack of music. We have already been given some vocal scores on loan from singers who would like to attend but are away that day, and we are also in the process trying to borrow copies from Choral Societies further South. Most singers are pretty good at sharing a copy too! A few snippets from the local papers. The bi-election for Caithness Landward will be held on 2nd May and there is only a few days left for potential candidates to get their nomination papers in. The bi-election follows the resignation of Robert Coghill. Wick Academy have kept their 2 point lead at the top of the league table after beating current champions Forres Mechanics at Harmsowrth Park. See the Wick Academy web site for the full report. Caithness Science Festival 2013 has been another great success wth more people than ever attending the Family Fun Day to end the week of events in schools througout the county. The family fun day show-cased many scientific ideas and groups. The great thing about the fun days are the chance to try things out and to enter competitions. Young people were presented with certificates for their entries in competitions. Demonstrations highlighted many aspects of how science affects our lives. The aim to enthuse young people with ideas of how they can think about a career in science, technology and maths has succeeded yet again. Caithness youngsters are being exposed to these ideas in a way that is hard to do in school alone. Well done to the committee of Science 03 for their hard work in bringing the whole week together and for the final fun day. Police are investigating the death of a male whose body was found on in the Wick River this morning. Details of the male are not being released at this time until the next of kin have been informed. How can funding from onshore wind farms be used to benefit Caithness and its communities? RWE npower renewables (RWE NRL) is encouraging people in Caithness to take part in the Caithness Conversation, a discussion about how the community funds linked to wind farms can best be used to support the area. RWE NRL, one of the UK’s leading renewable energy developers, invests more than £75,000 per annum in Caithness through community funds associated with its wind farms. The Peatlands Partnership is seeking input from local residents on multi-million pound Flows project. The Peatlands Partnership is looking for your views on how the peatlands of the Flow Country should be promoted to local people and visitors to the area. The Peatlands Partnership recently won support from the Heritage Lottery Fund (HLF) to develop its “Flow to the Future” project, which aims to improve opportunities for people to learn about and enjoy the peatlands and to restore several square miles of peatland. The drop-in sessions will be held at North Coast Connections Tongue on Monday 25th, Helmsdale Community centre on Tuesday 26th, Halladale Hall on Wednesday 27th and Halkirk Hall on Thursday 28th, all between 4 and 8 pm, except for the Tongue session which starts at 4.30pm. Pre Planning Public Consultations These have provisionally been set up follows: Wick Campus – Monday 22nd April 2013 Wick North of the River Primary School – Monday 29th April 201.3 Please look out for the venue and times in the local Press. These consultations give the opportunity for members of the public to comment on the current proposals. A poem by a Nobel Prize-winning poet at the centre of an investigation into his death has been found carved into rocks at a remote Scottish beach. Pablo Neruda was Chile's greatest poet and died less than two weeks after a military coup in his country in 1973. His family maintains that he died of advanced prostate cancer, but his body is to be exhumed as part of an inquest into allegations that he was poisoned. Words from one of his poems have been found at Bay of Sannick in Caithness. A link to many more photos is at the bottom of the article about the day. Could Your Car Buy You Lunch? It seems like fuel prices are always going up – and as we all know, filling up the car costs a small fortune these days. The good news is, we can help you do something about it. With the Free Lunch Challenge from Energy Saving Trust, you can quickly see how making changes to your car and your driving could save you money. Click through to take a short test to see how you can save money on driving. Sandy Shearer, joiner has this van for all his tools and equipment. A TOP Highland Council planner has said that far from being tourist turn-off, a controversial, three-farm offshore wind farm complex in the Moray Firth could be an attraction. Malcolm MacLeod was addressing objectors’ concerns to a plan to establish a triple wind farm development off the Caithness coast and also suggested that the jobs created, could be regarded as compensation for the loss of scenery. Mr MacLeod, Highland Council’s head of planning and building standards, was commenting, on a consultation request from the Scottish Government’s Marine Scotland division to an application it has received from Moray Offshore Renewables (MORL) Ltd, along with 10 objections. It wants to construct three farms, named Stevenson, Telford and McColl, 22 kms off the south-east coast of Caithness. New offices for Hugh Simpson contractors well known locally for cranes and oil have new offices almost ready at Wick harbour. The ofices are on the site of the former Wick Power station that was finally demolished in October 2008. 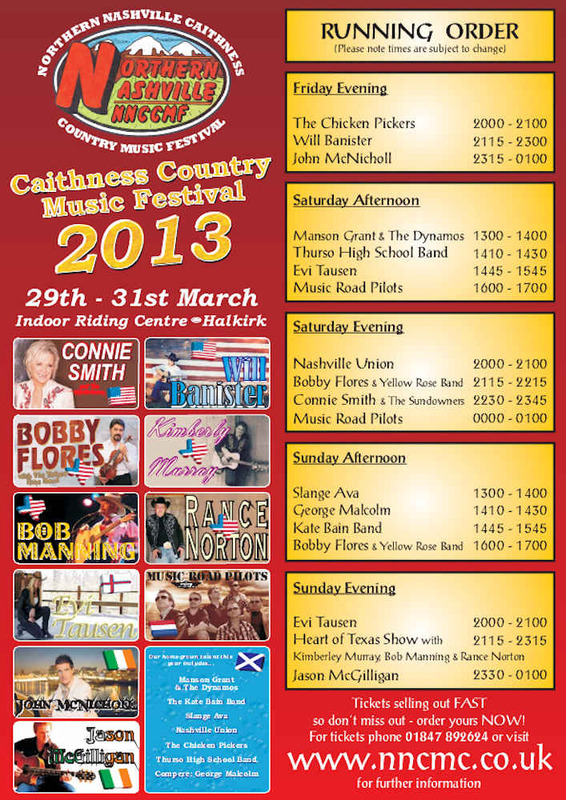 Check out our What's On section daily or for months ahead to see whats coming up in Caithness. It's Free to use and items flow into our Caithness.org Facebook each day for even more coverageof your event. You can add a colopurful poster or an appropriate photo to highlight your event. The items also head off to the Twitter pages. Get your events on as soon as you have all your information to get the maximum chance to have it seen. Events can be added years in advance if you are sure of the dates and times. Remember the What's On can be seen on many pages throughout the Caithness.org groups of web sites - Arts, Business and the growing new Community Section and several others. Adding items is easy and free. Just go to the submission form on left column on this page or from within the section itself. See report on Wick Academy web site. We snapped this photo of the Handyperson Services vehicle in Golspie recently and it shows they get around to deliver their services to elderly and disabled people. Based in Thurso the scheme is run by Pentland housing and funded partly by Highland Council. If you are aged over 65 or living with a disability and you need a Handyperson to help with minor repairs at home then check them out HERE. How Can Wind Farm Benefits Best Be Used In Caithness? How can funding from onshore wind farms be used to benefit Caithness and its communities? RWE npower renewables (RWE NRL) is encouraging people in Caithness to take part in the Caithness Conversation, a discussion about how the community funds linked to wind farms can best be used to support the area. RWE NRL, one of the UK’s leading renewable energy developers, invests more than £75,000 per annum in Caithness through community funds associated with its wind farms. Complete an online survey or attend one of the days in Thurso or Wick. THIS seafarer might not be quite as big as his walrus cousin which visited the shores of North Ronaldsay but he still turned a few heads when he came up river to sample the spring sunshine below Wick town bridge. The seal settled on a rock only a few yards from the bank and appeared to lap up the attention from passers-by and photographers. Members of the Caithness Countryside Volunteers met last Sunday (10th March 2013) to help plant trees and wild flowers at the ‘Planting for the Future’ site at Ormlie, Thurso. The volunteers planted a range of broadleaf trees including rowan and beech and planted wildflowers such as fox glove and cowslip to help provide useful habitat to wildlife at the site. Wick's DE shoe shop is under threat after the chain's bosses put most of their Scottish stores up for sale, recently. A total of 10 jobs are on the line taking the Wick and Thurso branches together. The company has said it will entertain sales of the shops individually, or en bloc. Consultation with staff is continuing. Miller Construction is extending an invitation to subcontractors and suppliers based in the Caithness and Sutherland area to a Meet the Buyer event to find out more about future opportunities for local businesses in the area. As a Tier 1 contractor with hub North Scotland Limited, Miller Construction is preferred bidder on a £50m pipeline of work to be delivered over the next three years in Wick and Tain and is seeking suitable local partners to deliver these projects and others when they arise. Businesses of all construction disciplines, in Wick, the wider north eastern Highlands and Orkney, are invited to register for the event being held at Mackays Hotel, Union Street, Wick, KW1 5ED on Wednesday, 27 March 2013, for the opportunity to find out more about working with Miller Construction on upcoming and future projects. Interested parties are requested to email mtbwick[AT]miller.co.uk to register their details. Wick Schools and community facilities are just one part of the work coming to the north. A Caithness IT company is creating new jobs in the North of Scotland as it relocates to a new office in Thurso town centre. Escape Group is to move from the Janetstown Industrial Estate where it has been operating for three years. The company provides IT infrastructure consultancy and support to local, national and international clients and is now investing in new office accommodation and jobs. The move is supported by a £98,000 employment grant from Highlands and Islands Enterprise (HIE). From the Caithness base, Escape manage a remote helpdesk for clients across the UK, Ireland, Middle East, Asia and Australia. Employers can get all their job ads on our forum free of costs. Currently two pages of job ads the highest yet on Caithness.org and one of our busiest sections. In mid March Caithness Astronomy Group have a weekend of free events planned for skywatchers in the far North of Scotland. The highlights include two public talks by Professor Andy Lawrence of Edinburgh University and the Royal Observatory in Edinburgh, and the chance to view a comet in the twilight sky after sunset. The first event is on the 15th March and will involve some comet spotting at Castlehill Heritage Centre (6.45pm start) after which Prof Lawrence will give a talk entitled "Hunting the Dragon". The talk is about Active Galactic Nuclei - the bizarre goings on caused by black holes gobbling matter at the centres of galaxies. It has some history, some hot new stuff, and just a teeny bit of physics. The second event is during the afternoon of Saturday 16th March (1.30pm at Thurso High School) where Professor Lawrence's talk will be "Our Place in the Universe" in which he will look at the scale of the Universe, its incredible violence, its complexity, and examine how we feel as human beings in the face of it all. 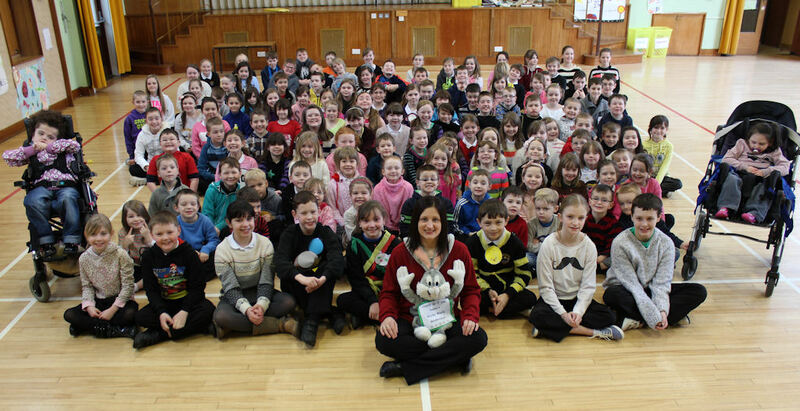 Many schools across the Highland region took part in Wacky Woolly Wednesday to highlight climate change. Schools were turning down the heat slightly and children wore wacky Woollies to keep warm. The Council has reduced carbon emissions by 13% since 2007/08, ahead of the 12% reduction target set in the Carbon Management Plan. This had been achieved through reduced energy use in the Council’s estate, fewer business miles travelled, fleet fuel savings and a reduction in waste disposal. Many schools across Highland joined in the day. CAITHNESS Heart Support Group secretary, Marjorie Donaldson checks out the digital scales before they were handed over to the Pearson Practice at Wick medical centre. The scales were the latest item to be funded by the group which also handed over a blood pressure monitor. The Caithness Science Festival reaches its 11th year with a packed programme of events and deliverng a whole host of interesting events to schools in the county. You can see what is on offer yourself by visiting some of the other events. You do not need to be going into science for a career or to have any scientific knowledge to have some fun. The events are thought provoking but also good fun. So check out the science festival this year. 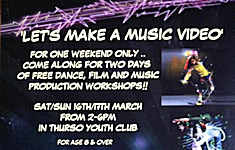 'Lets Make A Music Video' is a weekend project for kids being held on Saturday and Sunday the 16th - 17th March. Fancy trying some new Streetdance moves or you want to learn how to film/edit and mix music then come along for 2 days of free workshops and be able to film and star in your own music video by the end of the weekend!! All the workshops are run by professional dance/film and music specialists. Pulteneytown People’s Project are offering a unique opportunity for people who would like to train to work in the following fields; Childcare Health and Social Care Business Administration. PPP have secured funding from the Highland Councils Deprived Area Fund to deliver Scottish Vocational Qualifications (SVQ’s). These opportunities are open to anyone over the age of 16 whether they are employed or unemployed. PPP are able to work around people who have part time jobs by fitting work placements around their days off. Please note that the Business Administration SVQ is only offered at level 3 and for people aged 25 and over. Successful applicants will have to commit to a study day and up to two days a week work placement which will last for one year. Pupils at Pulteneytown Academy, Wick marked Climate Week yesterday (6 March 2013) by taking part in The Highland Council's Wacky Woolly Wednesday. The jumpers were needed in schools and offices where the temperature was turned down by 1 degree to reduce the Council’s carbon footprint. Schools and offices were also urged to turn off electrical equipment not in use. Norscot the Bower based window and door manufacturer has got of to a flying start in 2013. During the first two months of the year the company has won a clutch of contracts worth more than £1 million. Foremost amongst these are works at Rosebank, Nairn and Kingussie schools for The Highland Council. Further work for The Highland Council has also been secured in Spittal, Halkirk and Thurso, in Caithness. And, Inverness and Aviemore. According to Norscot’s commercial director, Callum Grant, securing the two school contracts is potentially a huge boost for future sales of the company’s Design 5 aluminium clad timber composite window system. The latest meeting of the Stakeholder Group took place at Wick High Schoo on Monday 4th March. Plans are moving forward and planning permissions are likley to be sought by the end of April. Public exhibitions will be held to show local people the final plans. The main contractors wil hold a "Meet the Suppliers Day" in Mackays hotel, Wick on 27 March 2013. Discussions have taken place with North Highland college in relation to new traing opportunities for apprentices in the suppliers and sub-contracotrs in the area to take advantage of the over £50 million investment for the schools in Wick. Information is likely to be sent out to all households in the East of Caithness by leaflets and further updates on the Highland council web site, school web site and Caithness.org plus press releases. Meetings of the Stakeholder group will be every two months from now on apart from holiday periods. Work continues at the site in Wick where GMR Henderson Ltd are carrying out restoration works funded by Historic Scotland. This first stage is to try to stop the buildings deteriorating. Further funding wilbe required to bring the buildings back into use. We are adding more phjotos over time but if yui have any photos of older buildiongs in Caithness you would like to share email them to bill@caithness.lorg with anyy information aout the building that you may know. There has been a a rise in jobs available in our forum recently and it is one of the busy sections now as more employers find they can recruit the staff they need. Many employers are reporting to us a high level of good quality applicants and best of all it keeps costs down as an ad in the forum is compeltey FREE to place. For employers all you need to do is join the forum as a member then place ads as often as you need to. We will remove ads when the final dates are reached or after a about 3 or 4 weeks if no date is entered. Ads can go in again if required. Revised opening times for eight police stations in the Highlands and Islands. New opening times will come into effect in April 2013 for eight of Northern Constabulary's fifty police stations in an effort to provide the most effective and visible front-line police service. Lerwick, Wick, Fort William, Dingwall and Stornoway will be open from 8am to 8pm seven days per week. Reception opening hours for Thurso will be 9am to 5pm seven days per week and for Alness and Portree the hours will be 9am to 5pm Monday to Friday. Burnett Road Police Station in Inverness will be open on 24/7 basis. On Tuesday 5 March, facing defeat and with Soviet armies attacking the city of Viipuri and threatening Helsinki, the Finns finally entered into negotiations with Russia about ending the Winter War and Britain and France abandoned plans to send troops to their aid. Meanwhile, with spring just around the corner, it was evident that the “Phoney War” would soon come to an end. LiDAR Survey Shows Archeaology At Hill Of Shebster Area. Explore the landscape with this great tool that allows you to move around the map. The development of a windfarm at Baillie Hill was granted planning permission subject to a number of conditions. One requirement was for the scheme to include measures to improve public access to the Hill of Shebster and Cnoc Freicedain scheduled ancient monuments; and for improved interpretation of the cairns, incorporating the results of a LiDAR laser scanning survey. In response to this requirement Baillie Windfarm Ltd commissioned AOC Archaeology Group to carry out a LiDAR survey, using high-resolution scan data to produce detailed terrain models of the landscape surrounding the wind farm. The main focus of the survey was Cnoc Freiceadain, a prominent shoulder rising above the northern coast of Caithness, which is the site of a group of Neolithic monuments including two long cairns and a series of stone settings. Almost a billion measurements make this one of the most accurate surveys ever made of part of Caithness. Cairn Housing Association have demolished one block of flats and already commenced the refurbishment of a second block. M M miller of Wick are carrying out the works. Frances Calder sent this photo and said, "My husband's grandfather William Dunnet is fourth from the left in the picture which was taken around 1914." Formed in 1913 by the late Alex Mackay of the St Clair Hotel, Thurso the band has proved a major asset to the town down through the years. The weekly parades and displays in the summer months holds out a strong magnetic appeal to locals and tourists alike. Dredging work was recently carried out at Lybster Harbour to deepen the water and ensure boats and yachts have enough water to navigate in and out. Move fast to book your meal at Mackays hotel in Wick for Mothers day and Mum eats free. Don't delay for this great offer as it will be snapped up fast. Booking essential. Portable Museum of curiousity - It will be on display at Caithness Horizons from 1st until 10th March. During this period it will be taken off display for a few hours each day for groups to use.